Clint: MAU., I’d love you to start by telling our audience of Dance Studio Owners a bit about what you do today to help businesses build their presence in the digital marketplace? MAU. : Thanks Clint for your great Introduction. I would like to say I am a Latin dancer: I dance salsa, bachata and I am currently learning Kizomba. 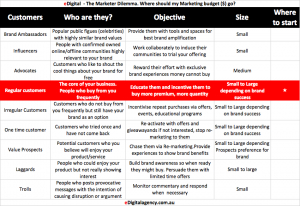 Yes, I have been working as a Digital Marketer in Sydney for over 12 years, I help Australian business owners to manage and optimize their digital footprint in order to increase brand awareness, preference, leads, sales and loyalty. I offer both weekly campaign management which means I manage and optimize my clients campaigns on a weekly basis. AND secondly I also offer customized strategic training workshops where we look at objectives and plan strategies to achieve those objectives. Clint: While most of our studio owners listening are getting more and more involved in Facebook advertising and engagement to build their audience, many have still not dived in with Instagram. So firstly I’d love you tell us what possibilities Instagram has for dance studio owners to build their audience and generate leads? MAU. : It is very important for Dance Studio owners to know key stats of Instagram on their own market. Lets take Aus as an example, there are more than 5 million Australians using Instagram. Most of these Australians are between the ages of 15-35 which includes what we marketers called them: Gen Y Millennials (81-95) and Gen Z Centennials (96-2010), therefore if your dance studio is targeting this demographic, your dance studio must be using Instagram. Instagram as a Social Media platform for Dance Studio Owners offers 2 main opportunities: Opportunity one is to organically reach teens and young people interested to book a dance course and engage with current dancers or their parents interested to book a second or third course. The second opportunity is to target a specific demographic and psychographic via Instagram ads. Example: you know that most of your Dance Students are between 20-35 years old who live in Sydney eastern suburbs as your dance studio is located in Bondi Junction. Then you can create an Instagram ad that targets people on that age who live only on eastern suburbs area. You can even go deeper and only target people interested in dancing. Clint: Finding WHO your Instagram audience is for studio owners is a huge first step in getting the best possible results. What are some of the comprehensive tips and tools you would recommend on finding who your audience is, and then where to find them? Clint: I love your advice on leveraging the use of Instagram’s auto­like and auto­follow tools which I’m sure a lot of our listeners haven’t yet used to their full potential. Can you share a bit about how these can best be used? MAU. : As said before if you are a dance studio owner with that reaches a specific geo area, it is not point of auto-liking hash tags that are not close or around your studio. It is crucial your autolike tool allows you to auto-like ONLY dance related photos in your area. You want to be able to target photos that contain both #ballet AND #sydney. To find out more about auto-likes and auto-follow tools please type in google eDigital best Instagram tools which will take you to my article that includes a list of these tools. Clint: How can studio owners get the best reach of their content? Especially when it can be so challenging to generate unique and interesting material regularly. MAU. : There are different content types to engage potential and current dance students. However I would suggest focusing on a) Successful student stories b) How to’s and Step by Step dance movement guides c) Inspirational content: an amazing unique dancing move or performance, how to recover from injury, etc. Youtube has to be part of any Dance Studio Content strategy as young people are also going to youtube to find these type of content. Make sure you optimise the title and descriptions on your youtube channels. You do not have to re-invent the wheel, you can use the same videos you are publishing on Instagram, also on your youtube channel. Sometimes curating the best content can also bring high levels of engagement. Meaning you do not necessarily need to produce content. just group different pieces of proven highly popular content into one single blog post, article or video. Dance studio owners have to be relaxed in their tone, non-commercial in messaging and consistent in their use. Clint: I love your thoughts on partnering with Instagram influencers ­ could you share this strategy with our studio owners listening who are looking to take their social media reach to the next level? MAU. : There is a big buzz about Influencing marketing. Who is the best influencer for a Dance Studio? People who have not only pay a course but who have paid two or three times a course! It is imperative for dance studio owners to ensure you are following these people and giving them the right reasons and tools to create what we call “Authentic Advocacy”. The right reasons for them to post authentic advocacy to might include: awards, certificates of completion, final dance shows/performances, competitions to win something money cannot buy, etc. I would action a “paid” influencers campaign once I have fully engaged my most profitable customer segment who is – and I wanna say it again – the people who have already trusted you and buy your product not only one but more importantly multiple times. With limited time, resources and budget, it is key to keep focus on the basics first: a great Instagram feed, a great website, a great Youtube channel, A great Instagram bio and more importantly after you are already locking in time to follow and like potential customers in your geo area. One that’s covered, I would suggest get in touch with a local Social Media Influencer Agency. 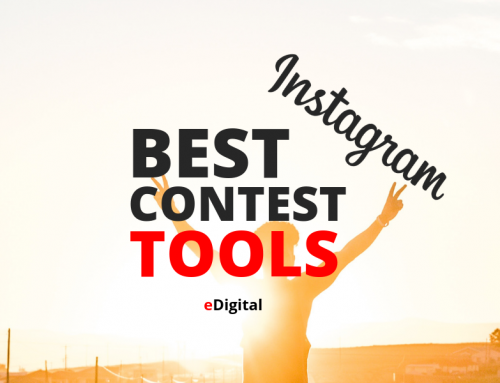 Some agency names are also in my article: “Best Instagram tools”. Clint: Competitions and contests have been coming up a lot recently in our Association ­ what are the keys for dance studios to run a great contest on Instagram? Prize: make sure the price is relevant to what you offer. Method of entry: make it as easy as possible for people to enter. Promotion – Pre- During and Post. Planning is key here. Pre: start promoting your competition with at least two weeks in advance so people have time to think what to do to enter also allowing time for people to share the opportunity. During: feature best entries of the day or week via email, facebook post, regrams, blog post, etc. Post: final winner announcement and how the winner is enjoying the price. Partner: Partnering with a related local business that has a bigger Instagram following base will help you amplify your competition. Terms and Conditions: ensure legals are approved by lawyer. Clint: Instagram stories has really taken off as a way that studio owners can use to increase engagement and followers. Can you give us a rundown on this new feature, and it’s best assets for boosting business? Update to 9.0.1 Version that allows for Instagram Stories. Start testing different story types: student profiles/performances, teachers profiles, other popular dancers, team life in a work environment or outside work, time limited dance studio promotions, behind the scenes and/or sneak peeks of what’s coming up (make customers feel included), dance tips, dance tricks, education resources, other venues where students can train or dance, upcoming dance festivals or congresses, takeovers a la Snapchat. Do not forget call to actions > best lead people to your bio link as it is the easiest way for users. Remember to make judgement on what sort of content deserves the urgency of a 24 hour transient Story vs the permanency of the highly curated, polished and traditional Instagram feed. Last but not least, ensure you save your Stories so you can use them on other social media platforms or website. You can even use them for “In case you miss it” or “throwback Thursdays #tbt” stories. Mauricio: First stop looking at the new flashy tactical social media tools and be more strategic into how they can first increase customer life time value which means how you are going to get current customers to buy more premium, more often, more quantity and give them the tools and resources to advocate on your behalf. Second: to be consistent with your delivery. If you do not have time to reach your followers not even on a weekly basis, it is not worth your efforts. Use a social media campaign manager who can do the work on behalf of you. 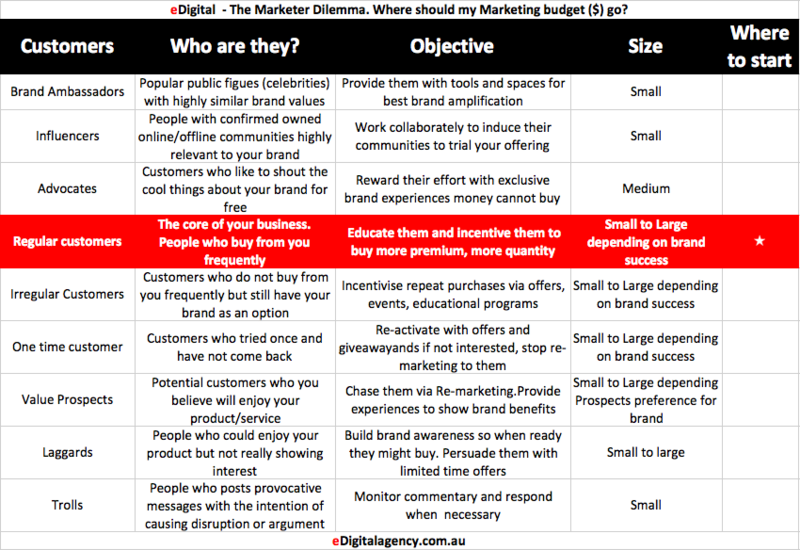 This process can be solved via a great strategic marketing workshop with the help of a digital marketing consultant. Clint: Thank you for taking the time to speak with us here at ‘Transform My Dance Studio”. If people would like more details on you and what you’re up to where should they head? MAU. : I would love to invite dance studio owners to subscribe to eDigital e-newsletter via eDigital.com.au just click on the subscribe menu item to receive our tips and invitations to our workshops and bootcamps. Adjust Google Ads bids based on closeness to your dance studio locations. As local inventory ads are primarily served to people close to your dance studio, use location bid adjustments to increase bids based on proximity to your location extension addresses. This way, local people will be informed of available products in your nearby stores. Adjust Google Ads to capture your potential students on their mobile phone. Local inventory ads are designed to capture hyper local queries (especially on mobile) which would drive traffic to your dance studio. Consider using stronger bid adjustments for mobile to maximise this potential. Increase Google Ads bids during your dance studio open hours and high traffic hours. Keeping bids active 24/7 and using a positive bid adjustment during store open hours can increase your ad relevancy to potential dance students. You can also have stronger bid adjustments during high traffic days and high traffic hours. Need effective digital marketing strategies to increase your customers’ Life Time Value (LTV) and your marketing Return on Investment (ROI)? Contact eDigital today! 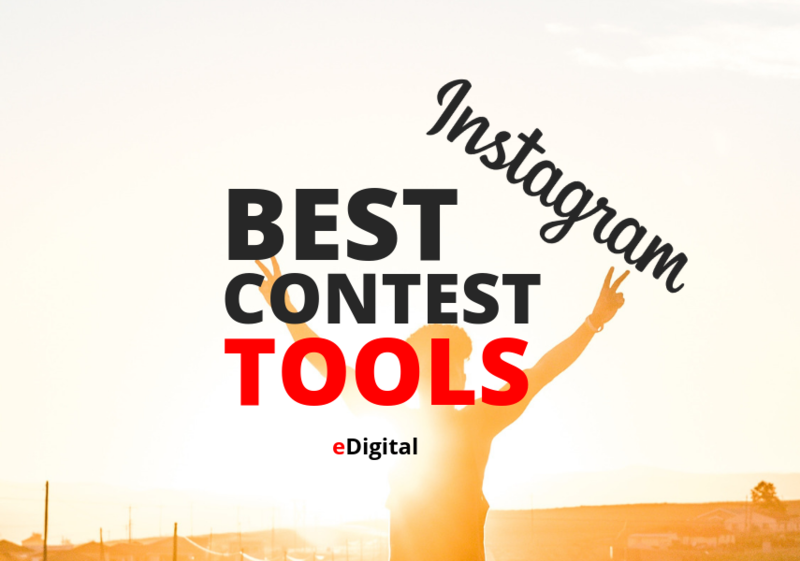 Check out our list of the best Instagram tools you can use to generate more followers, manage and optimise your instagram account. Learn more about how to use Instagram Stories here.